Pour Over coffee is a coffee making technique for all of you perfectionists out there. Those of you who have a real eye for detail…. And I include myself in that group. Every stage of the process requires a laser type focus as you set your stopwatch to 45 seconds or you measure 28 or 29 grams of coffee. So, what is the best grind to use in pour over? That would be a medium size grind and the best example of this, in my opinion, is this coffee. But, let’s take a look at the pour over method in more detail. This video demonstrates the 9 steps that you will need in order to create a cup of “pour over” coffee. Step 1: Place the beaker and pour over on the scales. Step 2: Boil the water in the kettle. Step 3: Pour the water into the pouring device and let it sit for about 45 seconds. Step 5: Grind coffee- about 29g of it. Step 6: Put all the grinds into the pour over. Step 7: Add enough of the hot water to cover the grinds. This is the pre infusion. Step 8: Wait for 30 seconds. Step 6: Now pour more hot water into the pour over moving in a circular anti clockwise direction. Keep adding water until your scales read 415g of water. Step 9: Pour the coffee into a cup and enjoy. It is thought that the mother of pour over coffee was a German woman called Melitta Bentz in around 1908. She was the first person to develop and use a coffee filter. A long time coffee lover, Melitta was frustrated by drinking coffee that was overly bitter. Using paper from her son’s school books as a prototype, Bentz develop a filter that blocked certain particles and compounds and helped produce a smoother tasting coffee. Beautiful Taste: Making a cup of coffee using the pour over method creates a very smooth cup of coffee. Cheap: As long as you have a hot water kettle and a set of kitchen scales, then a coffee dripper will likely cost you less than $20. Lots of Components – creating a pour over coffee needs lots of different items- from the hot water kettle, to the filters to the measuring scales. Just think of all the cleaning?! Antisocial: Pour over coffee is a great way to make individual cups of coffee but it is not ideal for making coffee for groups. Cold Coffee: Because of the length of time it takes to create a cup (after the water is boiled) is the coffee hot enough? Hard Work: You need to be involved in every part of the process. The first set of problems that pour over “newbies” tend to struggle with, relate to the disappointing taste of their coffee. After so much effort and careful consideration, some cups can taste sour, or bitter or just plain flat. But don’t worry as most of these problems are easily rectified. A cup of coffee that tastes sour or salty is under extracted. This means that the not enough of the goodness and beauty from the coffee grounds has transferred over to the water. water to coffee ratio was too high. As a word of warning, just make one of these changes at a time because otherwise you might make your coffee taste even worse, by making too many changes at once, you won’t know what the cause of your problem was in the first place! Perhaps the opposite is true and instead of having too little flavour, you have too much. Your coffee is bitter with a very long after taste. If this is the case, then your cup of coffee has been over extracted. 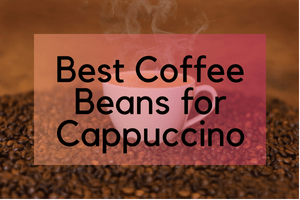 Your grinds and water have spent too much time together and as well as giving the water all of the wonderful flavours and textures of the beans, the water has taken on some of the “coffee nasties”- those chemical compounds that aren’t so desirable. Each drama is easy to fix. And the three causes and their solutions are the direct opposite as the causes and solutions associated with sour coffee. Problem The bloom time was too long Solution Make it shorter! Problem The water to coffee ratio was too low Solution Using the same amount of water, add more coffee. Issues surrounding the size of the coffee grinds, bloom timing and technique and the water to coffee ratio are important issues in any coffee brewing process and perhaps even more so for the pour over technique which requires such preciseness. Lots of people discuss the importance of getting the size of your coffee grounds correct but far fewer talk about the importance for these grounds to have a consistent or uniform size. The correct size of coffee grind for your pour over is a medium grind, which has the same consistency as a regular sand. The consistency is a very important factor because if the size of the grounds vary, then during the bloom, some of them will be under, some will over extracted whilst the rest will extract to perfection. If the grounds are the same size then your chances of getting a perfect level of extraction are that much higher. If you are struggling to get your head around this comparison, let me give you an example from cooking. Just think about when you are steaming carrots. If the size of your carrot slices are different then when you take them out of the steamer some will be under, some will be over cooked and some will be perfect. Your best bet for getting a precise and consistently- sized grind is to buy ground coffee. But ground coffee has a huge drawback because it may not be very fresh and it even if it is it loses its freshness very quickly. Your other options is buying whole bean coffee and a grinder. Whole bean coffee stays fresh for longer, but coffee starts to lose its freshness straight after roasting. Grinding allows you to keep your coffee fresher but it comes with its own challenges. Most people use electric blade grinders which are relatively cheap, fast and small but they struggle to produce a consistent grind size. Burr grinders don’t have this weakness but they are more expensive. The length of time that the coffee grinds and the water sit together is a very important factor in developing the taste. When ground coffee is mixed with hot water, the mixture goes through a number of transformations as different compounds are dissolved. The first transformation is the bloom, when carbon dioxide gas is released. An under extracted coffee has not gone through enough transformations and an over extracted coffee goes through too many. A perfectly extracted coffee has gone through the right amount of transformations. Your coffee should have a delicious flavour to it. It might be sweet, chocolate- like or fruity but whatever it is, it will leave you craving more! Pour over newbies can create imperfect coffee because the timing of their bloom is all wrong. You need to be watching a stopwatch like a hawk to make sure that your bloom time is 45 seconds exactly. The act of brewing coffee is an exact science and never more so than with the pour over. 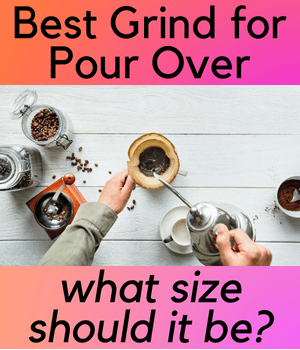 Another area in which pour over owners are making mistakes is because they are estimating the water quantity and the amount of ground coffee. The amount of ground coffee cannot be estimated, at first, by using teaspoons- heaped or otherwise. You need to get your scales out and weigh 28g or 29g of ground coffee. The same goes with the water. With the pour over equipment sitting on a kitchen scale, the weight of the water in your beaker needs to be 415g. As was mentioned earlier, the best grind size for your pour over is a medium grind, which resembles sand. 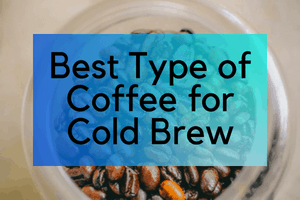 Your tastes are individual and you need to find a roast that suits your tongue. There is no right or wrong and the only way to do this is to experiment. However, to help you start, I have a few recommendations which are very popular right now. As a safe starter you might want to sit on the fence and try a lovely medium roast which has a chocolate- like and spicy flavour. Design for espressos, these beans can be used for any coffee! Or if you fancy a dark roast, where the roasted flavours are much stronger, think about buying this variety.